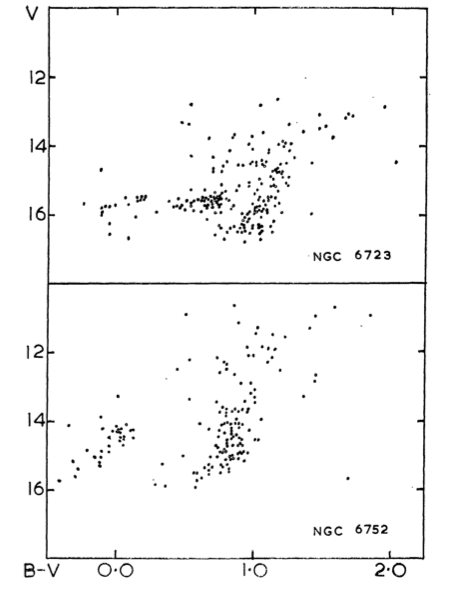 author Gascoigne, S. C. B.; Ogston, F. A.
NGC 6723 is a globular cluster in the constellation Sagittarius. Its magnitude is given between 6 and 6.8, and diameter between 7 and 11 arcminutes, class VII with stars magnitude 14 and dimmer. It is near the border of Sagittarius and Corona Australis. 2016, The Astrophysical Journal, Volume 832, Issue 2, 11 pp. Alcaino, G.; Liller, W.; Alvarado, F.; Mironov, A.; Ipatov, A.; Piskunov, A.; Samus, N.; Smirnov, O.
Gascoigne, S. C. B.; Ogston, F. A.